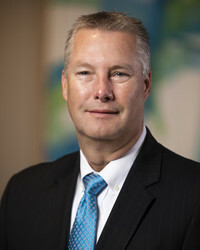 Mr. Wood joined Gulfport from Arsenal Resources LLC, a West Virginia focused natural gas producer and First Reserve Corporation portfolio company, where he most recently served as Chairman of its Board of Directors and previously held the role of Chief Executive Officer. From 2013 to 2016, Mr. Wood served as a Senior Advisor to First Reserve, a premier energy-focused private equity firm, serving on several portfolio company boards. Prior to that, he spent more than 17 years at Murphy Oil Corporation, including as Chief Executive Officer, President, and Director from 2009 until his retirement in 2012. From 1980 to 1994, Mr. Wood held various senior positions with Ashland Exploration and Production. He began his career as a well-site geologist in Saudi Arabia. Mr. Wood currently serves on the board of Lilis Energy, Inc. (NYSE: LLEX), an exploration and development company operating in the Delaware Basin. 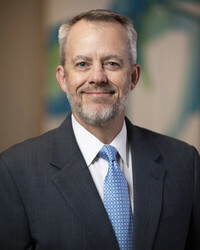 Mr. Moore joined Gulfport as the Chief Operating Officer in January 2018 from Noble Energy, Inc., where he most recently served as Vice President of Noble’s Texas operations for the Eagle Ford and Delaware Basin assets. 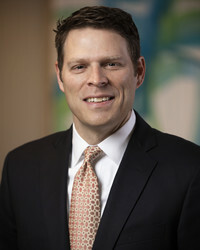 Prior to that, he held various leadership roles including Vice President of the Marcellus Business Unit, Manager of Operations for the Wattenberg/DJ Basin Business Unit, Manager of Operations for the Gunflint discovery in the Deepwater Gulf of Mexico, and Development Manager for Noble’s Mid-Continent and Gulf Coast positions. Prior to joining Noble in 2007, he held a variety of roles with ARCO Oil and Gas Company, Vastar Resources, and BP America from 1989 to 2007 and brings to Gulfport more than 28 years of operations and subsurface leadership experience. Mr. Moore is a graduate of Louisiana Tech University with a Bachelor of Science degree in Petroleum Engineering. Ms. Crowell has served as Chief Financial Officer of the Company since January 2017 and, prior to such appointment, as Chief Accounting Officer of the Company since September 10, 2015. Prior to that appointment, Ms. Crowell served as a Vice President of the Company since April 2014 and Controller since March 2006. Ms. Crowell joined the Company in October 2005 as Assistant Controller. Prior to joining the Company, Ms. Crowell served in various accounting and/or audit roles at Ernst and Young LLP, Arthur Andersen LLP and an Oklahoma City-based accounting firm. Ms. Crowell holds a Bachelor of Science in Business Administration and Accounting and Masters of Business Administration degrees from Oklahoma State University, and also holds a Certified Public Accountant license from the State of Oklahoma. Ms. Crowell is a member of Oklahoma Society of Certified Public Accountants and Financial Executives International, or FEI, and served as a board member and the treasurer of the FEI Oklahoma City chapter from 2012 until 2014. Mr. Zitkus has served as Senior Vice President of Land effective January 2017 and, prior to such time, as Vice President of Land since March 2014. Prior to joining the Company, Mr. Zitkus served as an independent consultant from October 2013 to March 2014 and as Vice President of Land for Chesapeake Energy Corporation from May 2007 to October 2013. 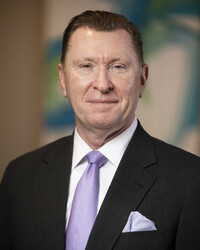 During his 20-year tenure with Equitable Resources Inc. (now EQT Corp.), he held various positions, including Vice President of Operations and Senior Vice President of Land, between 1987 and 2007. He holds a degree in Mineral Land Management from the University of Evansville. Mr. Zitkus is a member of the American Association of Professional Landmen and Past Regional Director of the Independent Petroleum Association of America. Mr. Malone has served as Senior Vice President of Operations effective January 2017 and prior to such appointment, as Vice President of Operations since November 16, 2013. Prior to joining the Company, Mr. Malone was with Sierra Engineering, LLC from August 2012 to November 2013, serving as Engineering Manager. Prior to joining Sierra Engineering, Mr. Malone served as Senior Asset Manager for the Marcellus Shale at Chesapeake Energy Corporation from January 2010 to November 2013. Mr. Malone also served as Vice President of Stimulation & Production for New Tech Engineering from July 2007 to January 2010. Mr. Malone started his career and subsequently served 20 years with The Western Company of North America and BJ Services Company from December 1987 to July 2007 in various engineering and management positions of increasing responsibility until ending his career with BJ Services where he spent the last ten years as Permian Region Technical Manager. Mr. Malone is an active member of the Board of Directors for the Southwestern Petroleum Short Course, an SPE member since 1989, an author of multiple technical publications, co-author of text on hydraulic fracturing and a patent holder. Mr. Malone graduated with a Bachelor’s Degree in Agricultural Engineering from Texas Tech University in 1987. Mr. Sluiter joined Gulfport as the Senior Vice President of Reservoir Engineering in December 2018 from Noble Energy, Inc., where he most recently served as the Permian Basin Business Unit Manager. Prior to that role he spent over 17 years developing his skills and expertise in unconventional resource development, reservoir engineering, subsurface development, business development/M&A, and leadership at Noble Energy, Santos Australia and Santos USA. Mr. Sluiter began his career as a wireline field services engineer for Schlumberger in Thailand. Mr. Sluiter is a graduate of the University of Sydney, Australia, with a Bachelor of Science degree in Chemical Engineering. Mr. Heerwagen has served as Senior Vice President of Corporate Development and Strategy effective January 2017 and, prior to such appointment, as Vice President of Corporate Development since May 2014. Since January 2017, Mr. Heerwagen has served as a director of Mammoth Energy Services, Inc., a Nasdaq-listed oilfield services company, as the Company’s nominee. 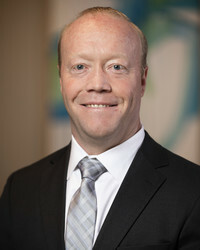 Prior to his current role with the Company, Mr. Heerwagen served as our Director of Investor Relations and Corporate Affairs from May 2008 to May 2014. From March 2012 through December 2014, Mr. Heerwagen served as President of Stingray Pressure Pumping LLC and Stingray Logistics LLC. He has also served in various financial, investor relations and corporate affairs roles since joining the Company in 2006. Mr. Heerwagen holds a Bachelor’s Degree in Finance from Oklahoma State University. 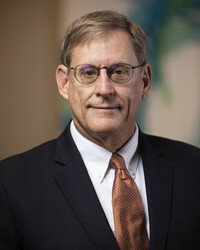 Mr. Jones has served as Senior Vice President of Drilling effective January 2017 and prior to such appointment, as Vice President of Drilling since November 2013. Prior to joining the Company, Mr. Jones was previously with Chesapeake Energy Corporation, serving as Drilling Engineering Manager for the Haynesville, Barnett and Eagle Ford from February 2001 to September 2013. Prior to this role, during his tenure at Chesapeake Energy Corporation, Mr. Jones served as District Manager for the Permian Basin and Senior Drilling Engineer for operations across Oklahoma, Texas and New Mexico. Mr. Jones graduated with a Bachelor’s Degree in Petroleum Engineering from the University of Oklahoma in 1985. Mr. Maier has served as Senior Vice President of Geosciences effective January 2017 and, prior to such time, Mr. Maier served as Vice President of Geosciences since August 2013. Prior to that position, he served as Geological/Geophysical Manager of the Company since May 1998. From 1993 to May 1998, Mr. Maier had served as Senior Geologist with DLB Oil & Gas, Inc. From 1992 until joining DLB Oil & Gas, Inc., Mr. Maier was a consulting geologist/geophysicist and, from 1981 to 1991, Mr. Maier was a geologist/ geophysicist with The Anschutz Corporation, an oil and natural gas exploration and production company. From 1979 to 1981, Mr. Maier was a production geologist for Gulf Oil Exploration and Production Company. From 1977 to 1979, Mr. Maier was a well site geologist. Mr. Maier received a Bachelor of Science Degree in Geology from the University of Missouri. Mr. Maier is a member of the American Association of Petroleum Geologists. Mr. Peck has served as Senior Vice President of Midstream and Marketing effective January 2017 and, prior to such appointment, served as Managing Director of our midstream operations from December 16, 2013 until January 2017. Prior to joining the Company, Mr. Peck was previously with Access Midstream Partners, serving as the Director of Commercial Services. In addition, prior to joining Access Midstream Partners, Mr. Peck served as Producer Services Manager at Enogex LLC. Mr. Peck graduated with a Bachelor’s Degree in Finance from the University of Central Oklahoma in 2000 and holds a Master’s Degree in Business Administration from the University of Oklahoma.